Fortunately, that doesn’t include you. I’m proud and extremely gratified that most readers of RealAstrologers are sophisticated enough to know that last week’s “big news” was a hoax. I’m also happy to be gaining new readers who are looking for some real facts and authoritative information about the Snake Handler. Wow, they actually discovered that? And an astronomer singlehandedly created a new sign of the zodiac? Impressive. Gee, I wish I’d known how easy it was to be an astrologer. I could have skipped ten years of study and been filthy rich by now. She’s so young and cute, I feel bad picking on her. But somebody has to. Well, I’m glad to see Prof. Kunkle admit that he’s not an astrologer and doesn’t know anything about it. Maybe in the future he will be so kind as to stick with astronomy. In the meantime, with the help of the media and Twitter, he’s unleashed a monster (there’s a really great article on MSNBC.com about how it happened). The snake is out of the bag and I don’t see how we’re going to put him back in. Moreover, when something pops into the collective awareness with this amount of force, it has to mean something, and we need to attempt to understand the phenomenon. That will be the subject of a future post. For now, let’s get a handle on the Snake Handler. Regular readers of RealAstrologers already know about Ophiuchus (pronounced off-ee-YOO-kuss), as I’ve written some short posts about him over the past few years. Unfortunately, the explanation can’t fit in a Twitter post, so you’ll have to bear with me. The zodiac is comprised of twelve constellations on the ecliptic, the path the Sun takes as it appears to move through the sky from our perspective here on Earth. There is, however, a thirteenth constellation on the ecliptic, Ophiuchus, the Serpent Bearer. This gets really confusing, because the signs in Western tropical astrology aren’t the same as the constellations, even though they’re named after them. The two were in alignment around the birth of Christ, but since then have drifted apart by about three-quarters of a sign due to a phenomenon called precession, which is caused by the earth’s wobble on its axis. In ancient times, there was no difference between an astronomer and an astrologer, so it doesn’t matter what you call them. Scholars generally attribute the discovery of precession to Hipparchos, a Greek astronomer born in the second century B.C.E. It’s not clear who developed the tropical zodiac and when, but it was thousands of years ago, and it anchored the signs to the solstices and equinoxes – what we call the four cardinal points – rather than the slow but constantly shifting positions of the constellations. Now, they also knew that there was a 13th constellation on the ecliptic, and this was a bit problematic. A circle is 360 degrees, easily divisible by 12 but not so easy to divide by 13. Our ancient ancestors had a similar problem trying to make a year out of 13 lunar cycles. In the end, astrologers decided to fold Ophiuchus into Scorpio (technically called Scorpius in astronomy). This made sense, because Scorpio and Ophiuchus lie side by side and, together, take up about as much length on the ecliptic as any one of the other constellations. Incidentally, if all 13 constellations had been translated into signs, Ophiuchus would be the ninth sign, and Pisces would be the thirteenth. Also, it’s worth keeping in mind that the boundaries of the constellations that Prof. Kunkle used in his calculations were determined rather recently, in 1930. Like geo-political boundaries, these are human artifice, so it’s silly to be talking about “exact” dates tied to constellations anyway. So, to summarize so far, the tropical zodiac is fixed to the equinoxes and solstices, and Ophiuchus was intentionally folded into Scorpio, which made sense then and still does. That is why Ophiuchus has no official glyph, no personality traits, no gemstone, metal, or any of the other correspondences attributed to the signs. Simply put, Ophiuchus isn’t a sign. But that’s not to say we totally ignore him. As I’ve written in the past, Ophiuchus is associated with Asclepius, the Greek god of medicine. 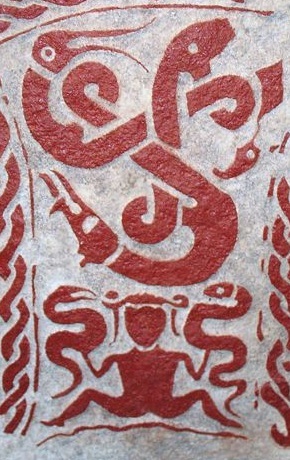 To this day, the medical community uses entwined snakes as its symbol. Incidentally, snakes and scorpions were both regarded as symbols of death and regeneration, and they are used interchangeably as symbols for Scorpio. Some of the most talented healthcare professionals I know have strong Scorpio in their charts. Among their many gifts, they intuitively understand the source of the illness and therefore can find the right cure. We could argue that this stems from the regenerative qualities of the scorpion, but it makes more sense to tie it to the influence of Ophiuchus. Remember, astrology is informed through mythology, which essentially is the story of the collective. It’s also interesting to note that the constellation Ophiuchus is near the Galactic Center, which in my opinion adds strength to its association with healing. Just as our own healing comes from our core (the Latin root for heart), collective healing comes from our greater center. Advanced healing technologies are coming into the mainstream that use the various light spectrums and sound waves to influence the body’s core energies so that it can heal itself. I believe this is one of the messages in the sudden “discovery” of Ophiuchus. Scorpio itself is the sign of mysteries, secrets, and hidden things, so it’s no surprise that among its hidden attributes is an entire “lost sign” of the zodiac. In previous posts, I’ve attempted to answer a theoretical question of “how much of Scorpio is Ophiuchus.” Really, none of it is, because Ophiuchus is a constellation, not a sign. However, I think it’s a fair question, since Ophiuchus does take up a certain amount of the ecliptic and accounts for about 72 percent of the combined time that the Sun moves through the constellations of Scorpio and Ophiuchus. Expressed in degrees, that’s 22. If we wanted to translate that back to dates in tropical astrology, the Sun theoretically would be in Scorpio from October 24 to November 1 and in Ophiuchus from November 2 to November 22. Please don’t misinterpret this as adding a sign. At most, we can say that Scorpios born after November 2 have additional traits associated with Ophiuchus. Perhaps we should call these people Scorpio-O. Now, I’ve read many comments on the Internet by readers arguing that if the signs and the constellations are that far off, we astrologers should just accept that fact and get with the program! In fact, some astrologers do. Western sidereal and Vedic astrology use calculations that more closely follow the Sun’s actual path through the constellations, but even these aren’t exact, as sidereal astrology measures 12 signs of 30 degrees each, when in fact some constellations, like Cancer, take up less than 30 degrees and others, like Virgo, take up far more. Together, Scorpio and Ophiuchus comprise less than 30 degrees on the ecliptic. This is why it’s incorrect to call Kunkle and other astronomers siderealists. To those readers who would prefer their horoscope signs to be closer to alignment with the constellations, I suggest you try sidereal astrology for a while and see how you fare. But sorry, you won’t find Ophiuchus there. Only a few sidereal astrologers include him, and only since 1970. Otherwise, I would encourage astrology enthusiasts to study the discipline in more depth before trying to change the rules. Astrology isn’t Anwers.com, where you get to post your opinion and take a vote on whose answer is best. As an Aquarius, I’m all for breaking and revising rules, but as with anything else, you need to learn what the rules are and why they’re there before you throw them out the window. I’ll have more on this hot topic in future posts, and I encourage everyone to send questions via the Q&A form. Also, if you want to borrow material from this post or anywhere on my site, please note that I work under a Creative Commons license, which means you can use my work, but you must attribute it to me and you must use entire quotes, no paraphrasing. Thanks for your understanding. fact-checking is passe, superficiality is here to stay, and hearsay rules the day. Pat, I am a fairly new arrival to your site (just about a month now), and I want to compliment you on the intuitiveness and detail of your articles and the fairness that you show in all of your posts. As a Libra (at 22 degrees) I am amazed at the controversy which has erupted around this issue. I love to stargaze and have an avid interest in astronomy, yet I have no problems reconciling that aspect of me with my avid interest in astrology. I have known about precession for years. The only thing amazing is how much noise the media has made about this “event”. It is like they just discovered water in the ocean. These are two different sciences altogether and it is like comparing a Siberian Husky (of which I have 4) to a Wolf; they may look similar in some basic regard but they are totally different animals. We can hope in the long run when this issue gets supplanted in the news cycle by something else this will wind up being a good thing. Perhaps it will make more people aware of the quiet voice of truth whispering in our ears that is astrology.